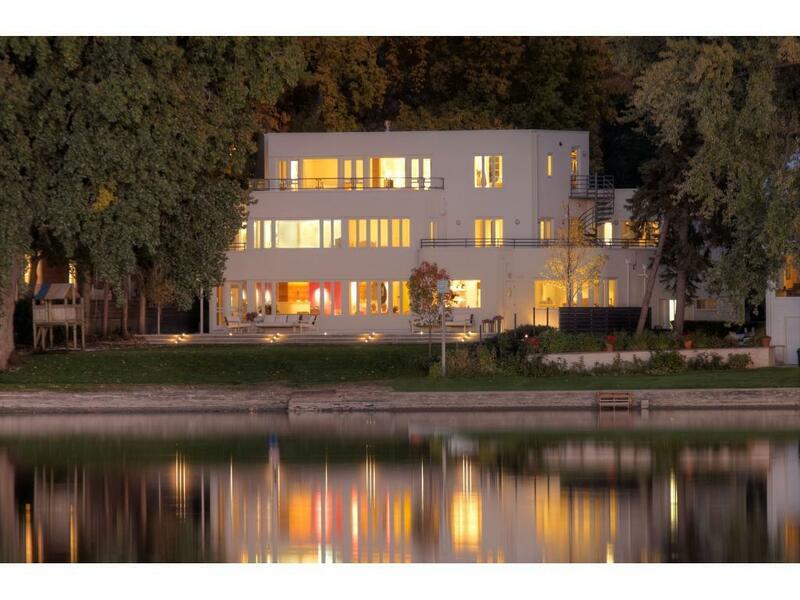 One of the most significant modernist works in the Twin Cities, this one-of-a-kind International Style property overlooking the shores of Cedar Lk offers landmark architecture seamlessly integrated with today's amenities, including exemplary renovation and thoughtful additions. Third flr owner's ste add'n offers: luxe marble spa bath, sitting rm w/see-through FP & lrg lakeside terrace with tree-top water views. Enjoy picturesque Cedar Lake views through graceful walls of glass.